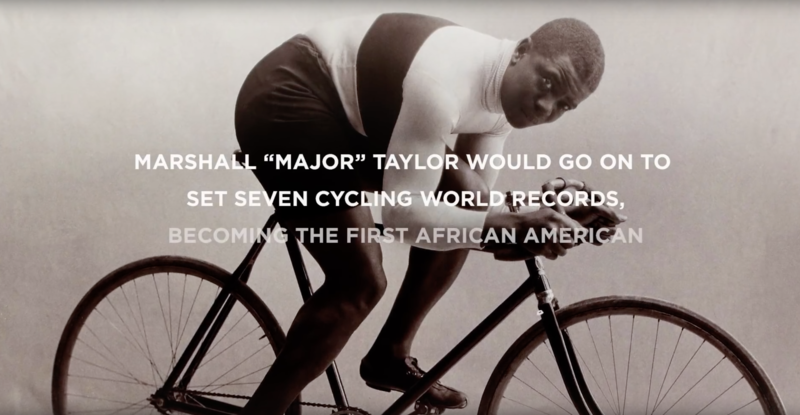 At the turn of the 19th century, cycling was the world’s biggest sport, and Marshall ‘Major’ Taylor was its biggest superstar. He broke multiple world records, won championships and defeated competition all over the world. But he was still searching for something else: a true rival. This video is not intended to be seen by persons under the legal alcohol drinking/buying age nor in countries with restrictions on advertising on alcoholic beverages. Do not share it with people under the legal alcohol drinking age and/or purchasing age in their country of residence. Marshall “Major” Taylor broke through color barriers to become the first African-American world champion of any sport. Relive his story now. To learn more about MMT visit the Hennessy.com This video is not intended to be seen by persons under the legal alcohol drinking/buying age nor in countries with restrictions on advertising on alcoholic beverages. Do not share it with people under the legal alcohol drinking age and/or purchasing age in their country of residence.